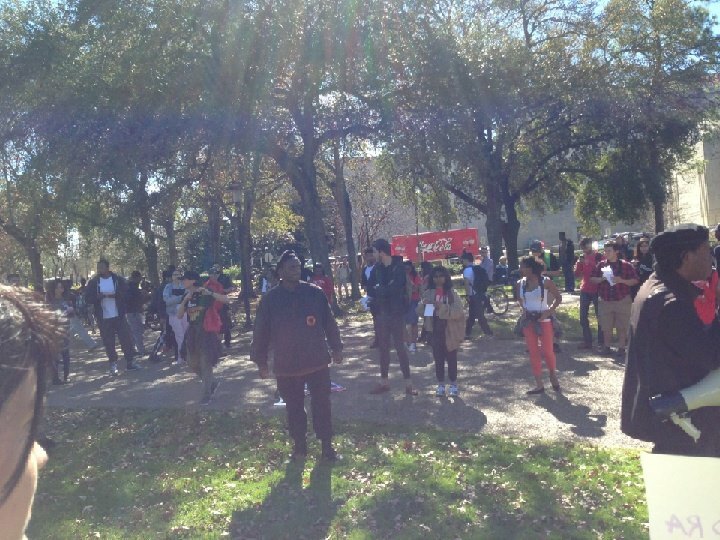 Students and activists in Houston demand justice for Sandra Bland | Fight Back! Houston, TX - Over 60 people gathered in front of the library at the University of Houston, Jan. 29, to protest against police brutality and demand justice for Sandra Bland, an African American woman who was murdered at the nearby Waller County jail last summer. The protest was organized by Students for a Democratic Society and participants included members of the Freedom Road Socialist Organization, the Houston Anti-War Committee, the Student Feminist Organization, the New Black Panther Party, Workers World Party and a few other groups. The rally began with a stirring speech by Reverend Ronnie Lister, a well-known African American minister in Houston. He expressed optimism at the incredible diversity of the protest, as there were African-Americans, Chicano/Mexicanos, Arab-Americans, as well as some supportive whites. He emphasized the necessity of all freedom loving people to unite to fight against racism and create a more just world. After his speech, there were speeches by students and activists from the different groups present, and a concluding speech by Yahcanon of the New Black Panther Party. During the speeches, a massive crowd assembled, and many students cheered on the speakers with great enthusiasm. After the speeches, the protesters marched through the campus, many people gave nods of support, and some students even joined in. As they marched, they chanted, “No justice, no peace, no racist police,” and “say her name, Sandra Bland. Justice for, Sandra Bland,” alternating with the names of the many African Americans in the U.S. that have been murdered by the racist police. 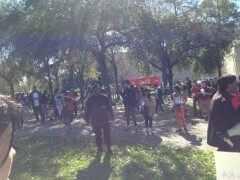 The march was a huge success and received great support from the university community. There were a few TV stations present, who gave the protest favorable coverage, as well as the university newspaper, the Daily Cougar.